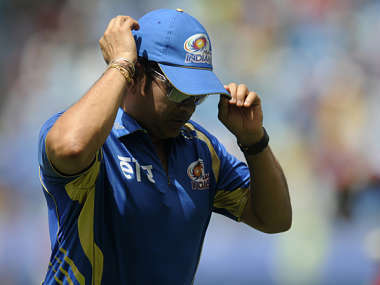 Live updates as Rajasthan Royals take on Kings XI Punjab in the IPL's 7th season. 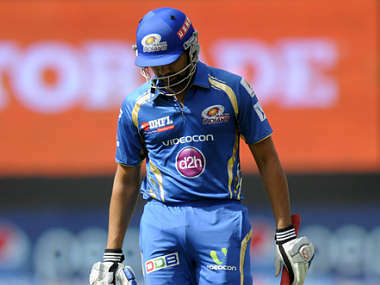 FirstpostMumbai Indians have enough firepower in their arsenal to turn things around. With some tweaks they would hope to have a good next match to put their campaign back on track. Can Manish Pandey find his true self again? FirstpostManish Pandey made the first century by an Indian at IPL when he was 19 years old but since then hasn’t lived up to expectations. And we have some Pravin Tambe stats: click here to read some interesting numbers. FirstpostWith the squad they have on paper they are considered competitive enough to defend the title. So what has exactly gone wrong in the first two matches of the tournament this season? FirstpostIt always feels nice when you know that you are going to be a regular in the playing eleven, something which was not possible at a star-studded Mumbai outfit. Here I feel more relaxed and don't feel the same pressure of expectations. Samson is still there and hitting the big shots. RR are 157-4 after 16.3 overs. WICKET! RR 159-5. Awana got the yorker right and Samson is walking back after making a brilliant 52 off 24 balls. After 19 overs, RR have reached 183-5. Splendid hitting by Samson and Watson. Can they finish well? RR finish with 191-5 after 20 overs. Super betting. 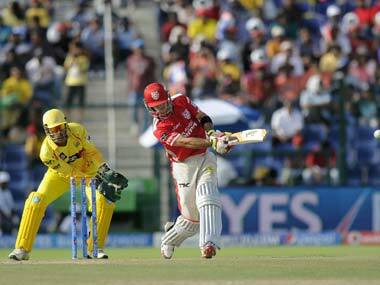 KXIP have the batting talent but can they keep it together for 20 overs.